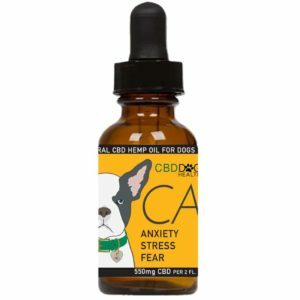 Can CBD Help with IBD in Dogs and Cats? Tummy troubles. Upset stomach. Belly-ache. Feeling under the weather. There are so many ways to describe what your pet may be experiencing if they are suffering from Inflammatory Bowel Disease (IBD). No matter what you use to describe it, your pet is in pain. If your cat or dog has Inflammatory Bowel Disease (IBD), it is hard to see them suffer. If you suspect your pet may have IBD, it can be confusing and difficult to diagnose. Knowing what IBD is and safe, natural ways to treat it can take your pet from feeling under the weather to feeling normal again. IBD causes inflammation of the bowels and GI tract, according to PETMD. IBD is classified in two main types for pets: Lymphoplasmacytic IBD and Eosinophilic IBD. Lymphoplasmacytic is the most common in both cats and dogs and effects the small intestine, stomach, and colon. IBD can be caused by a number of factors. Most pets, both dogs and cats, who get IBD are middle aged to seniors. IBD can be caused by a number of factors, including bacteria in the gut, allergens in food, poor immune system, and parasites. IBD may also be genetic. Is IBD the same thing as IBS? IBD and Irritable Bowel Syndrome (IBS) have different causes but have very similar results. IBS is not caused by inflammation, but is caused most commonly by stress and anxiety. These are often used interchangeably, and treatment may be similar (for example, CBD can help lower the stress and anxiety and can be a positive treatment option for both conditions), but they are not the same. What are the symptoms in dogs and cats? These symptoms can vary in duration, and your pet may only have one or two symptoms. If you suspect that your pet is experiencing these symptoms, you should seek veterinary help. It is possible for the inflammation to cause partially or fully undigested food into the gut, which may reach the bloodstream, which is why diagnosis is so important. How can I treat IBD? Does CBD help? The first step in treating IBD is to switch your dog to a mild food. If the IBD is being caused by an allergic reaction, start by fasting and reintroduce the food slowly so that you can pinpoint the cause of the inflammation. The best treatment in the world will not be as effective as it can be if the allergen has not been removed. One of the safest and best treatment options available is CBD for dogs and cats. CBD is an anti-inflammatory and works with the endocannabinoid system to restore homeostasis. 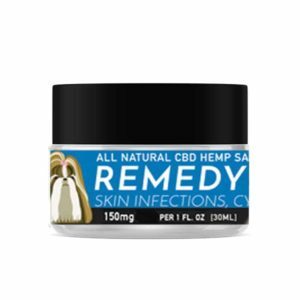 Unlike many medications for IBD, CBD does not require a prescription nor does it require extensive, costly, stressful visits to the veterinarian to refill. There are also no negative side-effects when using CBD. Some medications can treat the IBD, but may cause new problems in the liver or kidneys. However, the only side effect associated with CBD is that your pet may become a little bit sleepy. If IBD is caused by a parasite, your vet will need to identify the parasite and will advise you on how to get rid of it. However, most cases of IBD are caused by allergens. Talk to your vet about how CBD can help treat your pet’s IBD, and discuss ways to remove allergens from the pet’s environment. To learn more about how to safely use CBD to treat a variety of conditions, visit www.cbddoghealth.comor www.angelaardolino.com. PreviousPrevious post:Cats vs. Holiday DecorNextNext post:What does full spectrum hemp CBD mean?